Journeying over the seas enables you to visit exotic locales even in this day and age. One of the cities that offer sea-going travelers the opportunity to see exotic sites on a cruise holiday is a cruise to Casablanca. Moroccan foods are often considered comfort foods as they come stewed. Some examples of favorites include couscous with seven vegetables, shakshouka (eggs poached in tomato sauce) or Moroccan stewed lentils, with or without meat. Bocadillo with tuna is a hoagie-type sandwich served in many of the city’s sandwich shops. 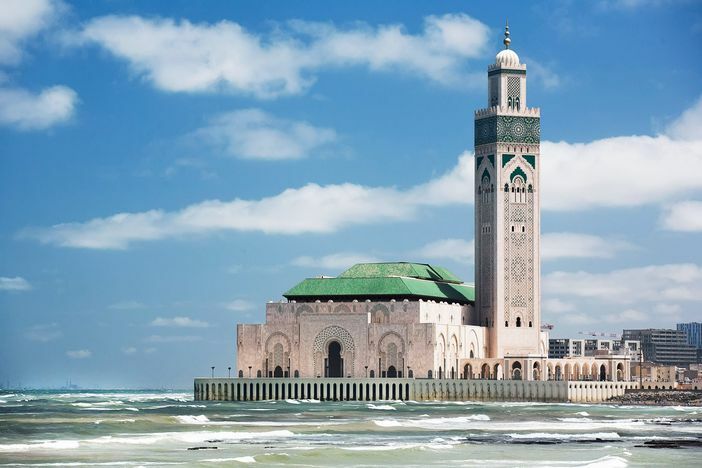 Most of the cruise travelers from the West have not been inside a mosque when they visit Casablanca. However, they will get the opportunity to see the religious structure when they visit the Mosque Hassan II. Cruise visitors are offered a rare chance to see inside this magnificent mosque, considered one of Casablanca’s top architectural wonders. Morocco has a combination of cultural influences. The Berbers, or Imazighen, descended from early nomadic tribes that settled in northern Morocco. About one-third of the people today still speak the Berber language. In the 7th through 8th centuries, the Arabs arrived and brought their Muslim religion and the Arabic language. French continues to influence communications as well. A cruise to Casablanca will, no doubt, include a visit to a Moroccan market. Souks are the vending areas in the marketplace where shopkeepers feature their wares. The Souk el Had, which takes place on Sunday, is designated as first marketplace day of the week. If you want to honeymoon on a cruise ship, then a cruise to Casablanca is the ideal stop for anyone who likes the beach. 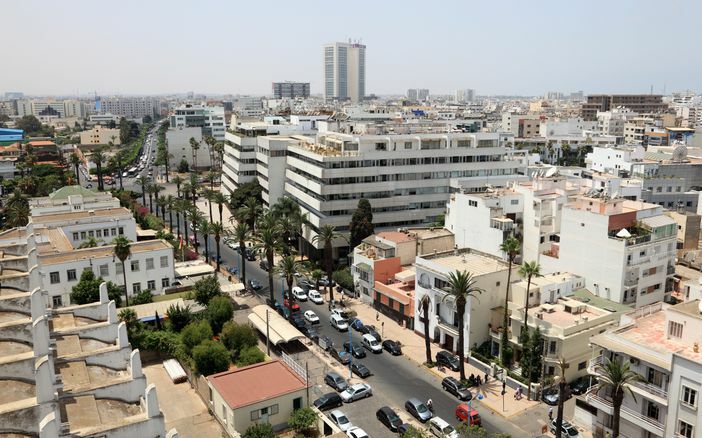 In particular, one of the best beaches to visit, of the many shores in Casablanca, is Aïn Diab, which is located at the perimeter of Anfa, a chic Casablanca suburb. If you have been asking why take a cruise vacation or cruise to Casablanca, a 3-hour tour of Casablanca will quickly answer your inquiries in this respect. One of the highlights of this excursion includes an opportunity to see the well-known and impressive Hassan II Mosque. If you love the beach, then another Casablanca beach worth visiting is La Corniche which is also close to many Casablanca attractions, including the market center of the city. You can combine beach-combing activities with an exotic shopping experience. You cannot visit Casablanca, Morocco and not see the fabulous city of Marrakech as well. 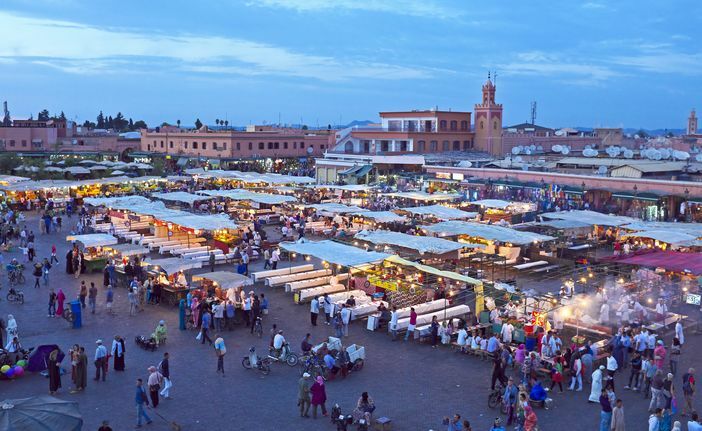 One of the main attractions in Marrakech is the Djemaa el-Fna market, the other famous one is the Koutoubia Mosque. You will also want to visit the Menara Gardens, which are set against the backdrop of the area’s Atlas Mountain range. A cruise to Casablanca is possible every year. Some of the top recommended vessels include Norwegian Spirit, ms Prinsendam, Viking Sea, MSC Preziosa, Costa Favolosa and so on. These cruise ships are not the only vessels sailing this region, but they visit Morocco frequently through the year. Of all the different destinations to see, Casablanca is at the top of popular exotic holiday locales. Check out Moroccan cruise ship itineraries today.